Coir mats/ Logs are made from pure coconut husk fibers which are 100% natural, biodegradable and safe to wildlife. 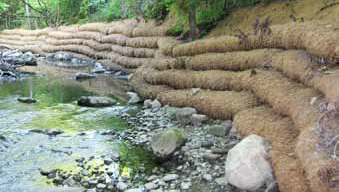 The coir fibers provide a high tensile strength and durability making it the preferred choice for the most severe erosion control situation. Coir mats/ logs have a three to six year longevity to allow for full vegetation establishment. 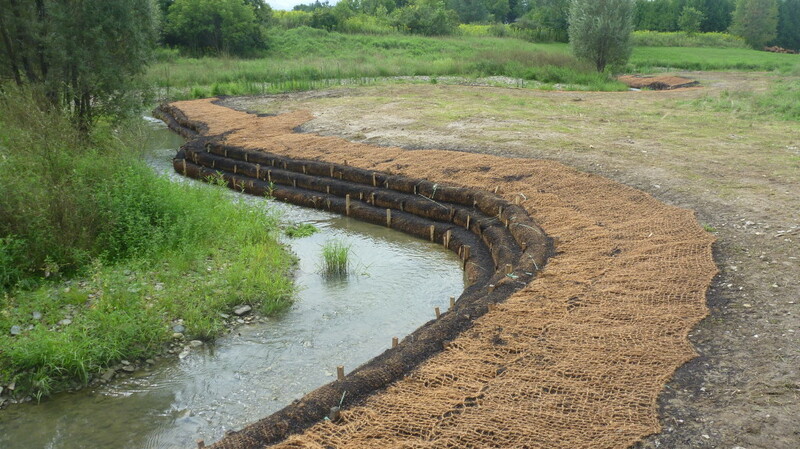 Best used for slope and channel stabilization, stream/ riverbank protection and wetland revitalization. Widely used by Environmentalists, Conservation Authorities and Wetland Preservationists.